WhiteSpot’s annual fundraiser for Zajac Ranch for Children is back on August 12th, 2015. 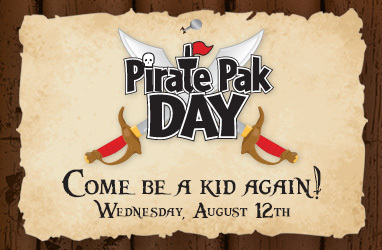 This is the one day a year when anyone can relive their childhood and order a Pirate Pak at any participating WhiteSpot restaurant, and feel good about it – For every Adult and Kids Pirate Pak that is sold on this day, WhiteSpot will make a $2 donation to the Zajac Ranch for Children – a BC based summer camp that brings joy to children and young adults with serious medical conditions. Over the years The restaurant has raise $347,172 for this worthy cause. 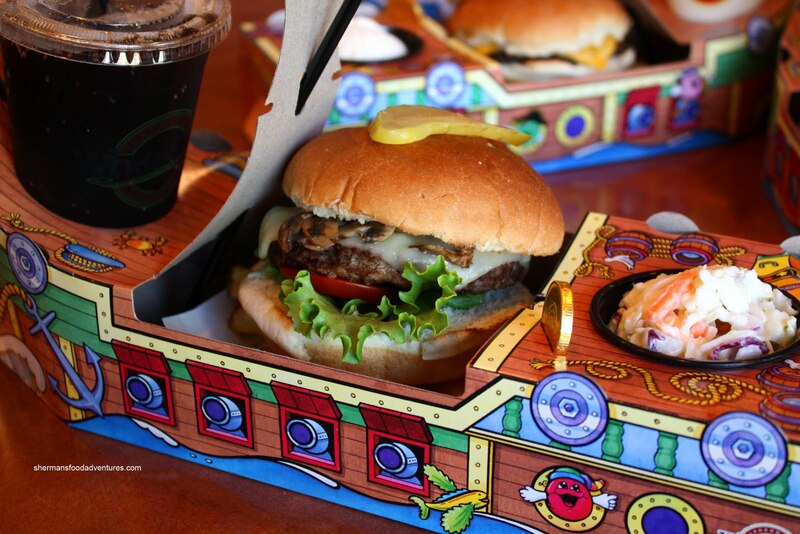 All Adult Pirate Paks include creamy coleslaw & ‘endless’ fries plus a soft drink, their famous chocolate coin and a scoop of premium rich ice cream. Available for dine-in & takeout. The traditional 1⁄4 lb. beef burger with signature Triple “O” sauce. A 6 oz. beef burger with hickory smoked bacon, Cheddar, lettuce, tomato & Triple “O” sauce. Fresh chargrilled BC chicken breast, Cheddar cheese, bacon, lettuce, tomato, red onion & Triple “O” sauce. A chargrilled veggie burger with Provolone cheese, Portobello mushrooms, grilled peppers, zucchini & onions, lettuce & lemon basil aioli all on a multigrain bun. Wanna enjoy a Triple O Burger on me? WhiteSpot Restaurants is giving away a $25 gift card to a lucky reader of my blog! 3. Leave a comment below telling me what your favourite WhiteSpot menu item is. Winner will be announced on Tuesday August 18th at 5pm. Good luck! UPDATE: Congrats @BCFoodieBlogger who retweeted and commented below. Thanks to everyone who entered! MadeWithLove™, the largest mixology competition in Canada, is coming back to town! I love White Spot’s Fish n Chips! My favourite is the fish and chips! We love the Burgers at WhiteSpot! My favourite is the Legendary Burger with Zoo sticks on the side. the Monty Mushroom burger is my favorite. I love the fish and chips the best too! I love the Legendary Burger. Classic! The fish and chips and yummy ice cream. The Shroom Burger is my favourite. I love the Zoo Sticks YUM! I like the mushroom burger. I love their swiss mushroom burger!